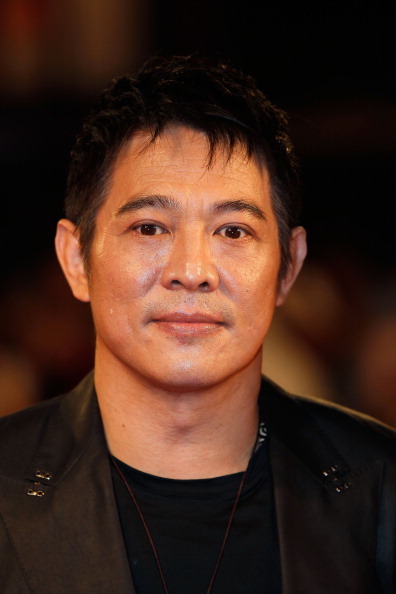 Jet Li has responded to ‘worried’ fans who have been talking about the actor’s health following recent photos surfacing online. During a recent trip to Tibet, the Kiss of The Dragon star had his picture taken which sparked serious concerns for his health because people thought he looked ‘frail’. Known for his lightning-fast martial arts skills, Li became a household name because of his cool action films. Back in 2013, the 55-year-old revealed he had been suffering from hyperthyroidism, as well as a heart condition, which hasn’t been helped by a series of on-set-injuries sustained throughout his career, The Hollywood Reporter reports. Hyperthyroidism is a condition which occurs due to excessive production of the thyroid hormone by the thyroid gland. Symptoms include irritability, muscle weakness, trouble sleeping, a fast heartbeat, heat intolerance, diarrhoea, enlargement of the thyroid and weight loss. Once considered a successor to the legendary Bruce Lee (along with iconic action stars Donnie Yen and Jackie Chan – with whom he co-starred in The Forbidden Kingdom), this latest image has various media outlets in Asia, such as Hong Kong’s Apple Daily, comparing The Expendables star to someone who is ’20 or 30 years older than he looks’. But Li has actually now responded, as you would. He posted some photos on Facebook and a status thanking fans for their ‘concerns’. I would like to thank all my fans who expressed concerns about my health. I’m doing great and feeling great! I’m excited to share with you all a few projects I am working on in the near future. For now, thank you all for your concerns! Fans responded in their thousands. Thank you for sharing this Mr. Li, your movies were a big part of my childhood and my heart sank when I read the news yesterday, hope you and your family are well. [sic]. Best wishes on a speedy recovery Mr. Li, my soul felt a little broken when I saw and heard of your newest demons. I have faith you will defeat this demon in your own way and time sir. Thank you for letting all of us know how you are. Much respect. [sic]. You were been one of my most inpirational artist and dying to meet you because you are my idol. I love all your movies and get inspired to learned martial arts. I’m quite upset of seeing the news that you were not getting well but I feel more comfortable now seeing you posting now that you were doing great and well. Hope to see more of your pictures even if its imposible for me to meet you in person. Wishing you all the best and good health. You are a good man and looking forward for your upcoming movies. You are an inspiration to all and you had helped many people thats what I loved more about you.